These were done in the months following the workshop with India. Different bits of fabric were sewn together on to a backing fabric and then put into the aluminium dye pot, having been wrapped around plant material. This is the first one. I used quite a lot of elderberries and onion skins as well as leaves, with more onion skins and teabags in the pot. 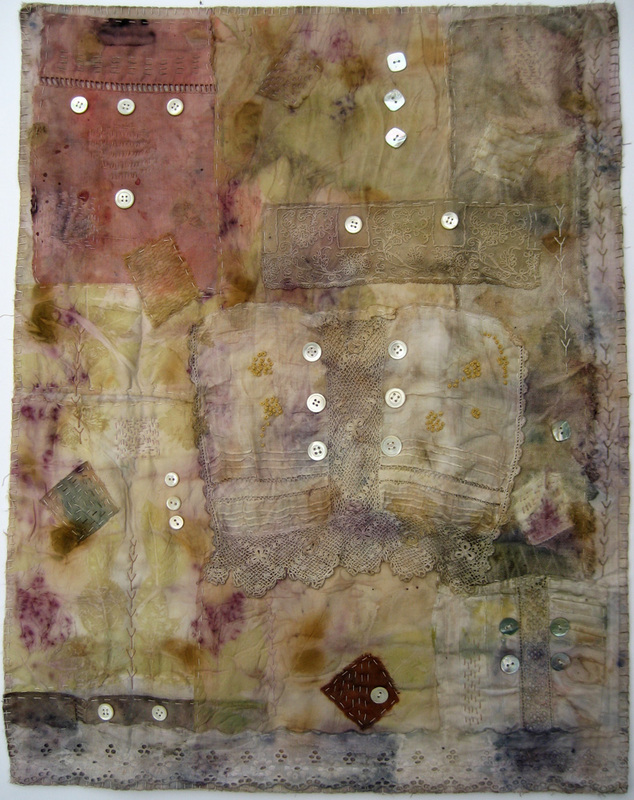 The top left pink piece had previously been dyed with madder. The stitching and buttons were added after dyeing. 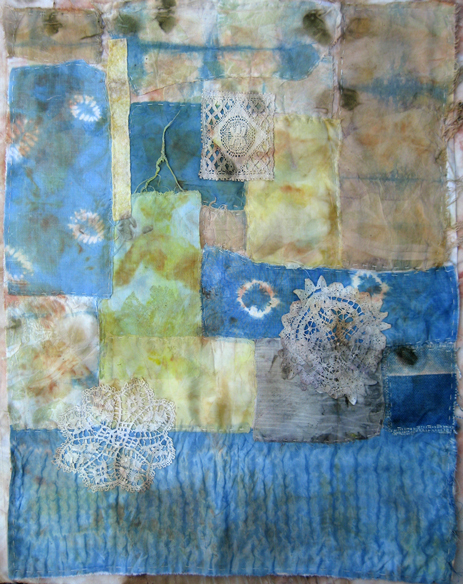 Here I used mainly indigo dyed fabrics, with lots of onion skins and green walnut skins within the bundle. 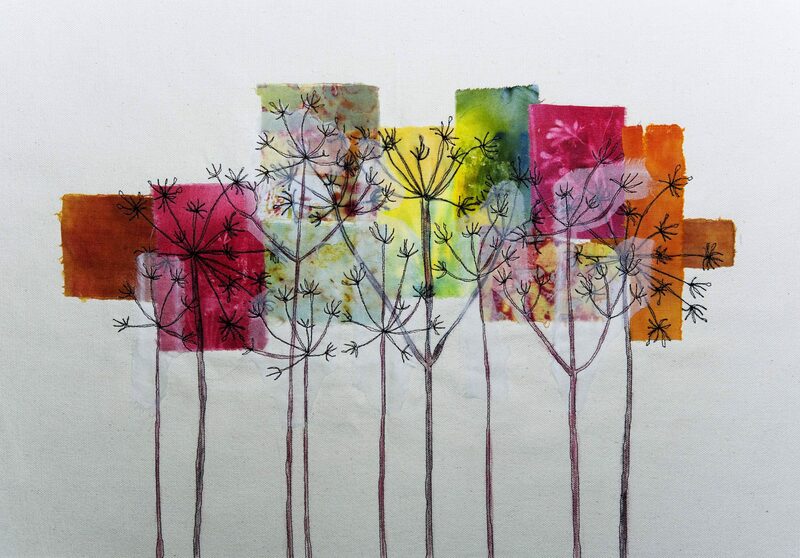 Both works have a mixture of cotton, linen and silk fabrics.